I spent much of the day in Brunswick at the 13th annual Peace Fair put on by our local PeaceWorks group. 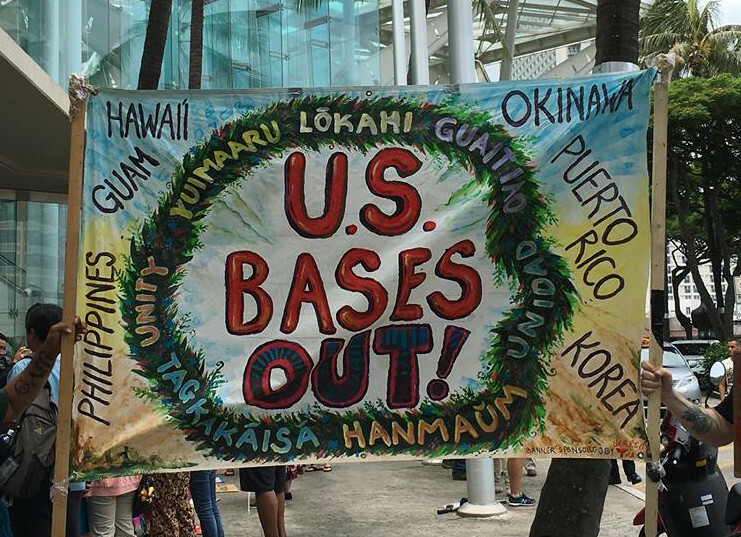 My table is the one on the other side of the red 'Bring Our War $$$ Home' banner in the photo. 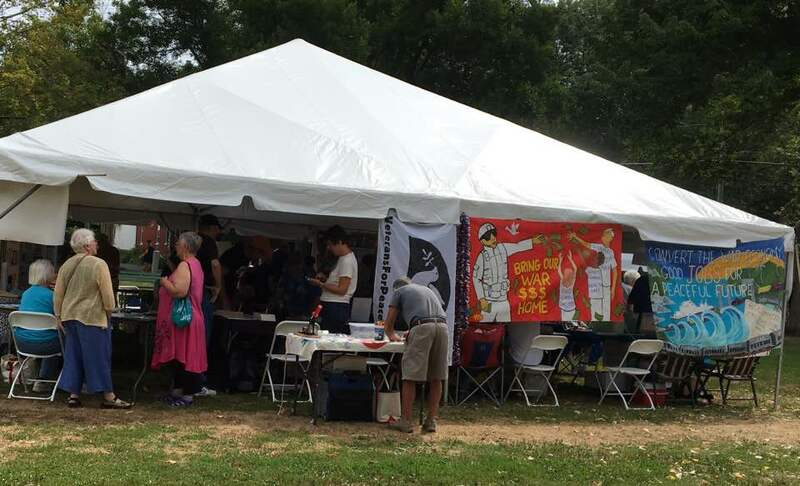 Many different organizations in the community had tables in three different tents and there was wonderful music throughout much of the day. The fair was held on the Brunswick town green along the main street through town so lots of cars and people walking by saw the two banners I hung by our table. I was joined at my table (which was right next to the Maine Veterans for Peace table) by friends Regis Tremblay and John Morris. Our primary goal was to hand out flyers about the upcoming Navy Blue Angels airshow protest that I am organizing on Saturday, August 26 from 9:00 am to noon at the former Navy base in Brunswick. I was also talking to people about our on-going campaign to convert Bath Iron Works (BIW) to appropriate sustainable technology development - commuter rail, offshore wind turbines, solar, and tidal power for example. 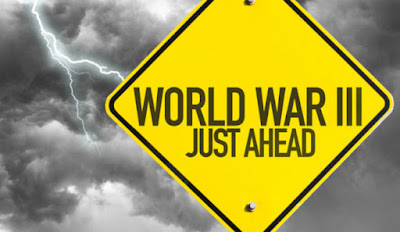 I kept telling people that our 'real problem' is climate change and that if we hope to give the future generations a real shot at a life then we have to convert the war machine (which has the largest carbon bootprint on the planet) immediately! I also hung the yellow Jeju Island, South Korea 'No Navy Base' flag on the front side of our table and since it is in Korean lots of people would stare at it which opened up the conversation about where the warships built at BIW go when they leave Maine. So it was a good day and always fun to see many old friends. Being public at this dangerous moment with colorful peace banners and such helps remind the public that not everyone is going along with the pure insanity coming out of Washington and the Pentagon as they talk quite openly about launching a 'decapitation' strike on North Korea or trying to overthrow the government of Venezuela. The arrogance of the US is just unacceptable and the American people - especially those who claim to be peaceniks - need to get off their collective arses before it is too late! A lobotomy is performed on each generation. Facts are removed. History is excised and replaced by what Time magazine calls “an eternal present”. Harold Pinter described this as "manipulation of power worldwide, while masquerading as a force for universal good, a brilliant, even witty, highly successful act of hypnosis [which meant] that it never happened. Nothing ever happened. Even while it was happening it wasn't happening. It didn't matter. It was of no interest." Trump is mad, a fascist, a dupe of Russia. He is also a gift for “liberal brains pickled in the formaldehyde of identity politics”, wrote Luciana Bohne memorably. The obsession with Trump the man -- not Trump as a symptom and caricature of an enduring system – beckons great danger for all of us. In response, “partnership” is a word used incessantly by Vladimir Putin -- anything, it seems, that might halt an evangelical drive to war in the United States. Incredulity in Russia may have now turned to fear and perhaps a certain resolution. The Russians almost certainly have war-gamed nuclear counter strikes. Air-raid drills are not uncommon. Their history tells them to get ready. 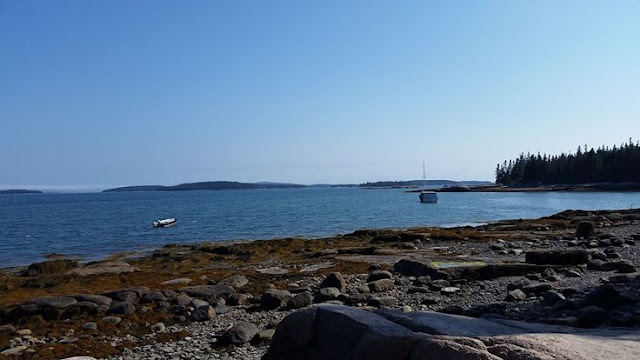 Mary Beth and I drove three hours north today to Deer Isle, Maine where I was scheduled to speak at an event organized by several peace groups in the area. Fellow Maine Veterans For Peace member Dud Hendrick (Naval Academy graduate, All-American Lacrosse player, and Vietnam veteran) organized the talk for me on the subject of the US 'pivot' into the Asia-Pacific. The talk was held at a local church and 50 people turned out which was a real testament on this beautiful summer island day of the local folks great respect for Dud. He is a key leader in their local peace group which vigils every week - summer and winter. I've recently been using PowerPoint to show pictures during my talks. I shared stories about US base expansion in Guam, Australia, Japan, South Korea and Okinawa. One of our friends Carolyn Coe, who has gone to Jeju Island, taped my talk for replay on the WERU alternative radio station that covers this part of the state. Dud has also been to Jeju Island and Okinawa as part of a delegation in 2015 organized by VFP. Artist Russell Wray from nearby Hancock also went on that 2015 delegation to Jeju and came to the event tonight with his wife Akemi from Japan. Russell is currently working on our logo design for our October 13-21 Maine Peace Walk that will be centered in Bath. My talk seemed to go over well - I urged people to form an affinity group to come to Bath Iron Works (BIW) the next time another destroyer is 'chrsitened' at the shipyard and risk arrest. I suggested that we must bring the conversion of BIW issue to every corner of the state if the peace movement had any hope of moving our nation away from endless war and towards creating a sustainable future that might give our children and grand kids a chance to survive on our Mother Earth. Nothing can be more important. Tomorrow morning Dud and his wife Jean have invited all the members of their local peace group to have breakfast with us at their home before we leave Deer Isle. It's been a short visit but the people here are quite special and MB and I always love visiting. Saturday in Brunswick will be the 13th annual Peace Fair put on by our local Midcoast group PeaceWorks. I'll be going early to help set things up and then will table on behalf of the Global Network. In addition they have several 'Conversation Cafe' topics during the fair and I will be doing the one called 'Where do the destroyers built a BIW go when they leave Bath?'. Back at home we had a professional animal trapper come to our house today to set traps to catch a family of woodchucks that are eating the hell out of our garden. They've gone after the beans, kale, squash, beets, carrots - and the last straw was this morning when I saw they took bites out of some of my tomatoes. After they are caught the trapper will take them to a state preserve in western Maine and release them. I just hope they don't hitchhike back to Bath since they obviously are loving our garden! Toxic coal ash, improper waste disposal and a stinky cheese plant. Welcome to Uniontown, Alabama. I know the voice of Seymour Hersch very well - have been listening to him for years. This is him in the audio telling the story behind the DNC files that were given to WikiLeaks by Seth Rich. Rich was sooner after killed in an alleged robbery, shot in the back, but none of his possessions were taken. This blows the whole mainstream story about a Russian hack to pieces. The audio recording was provided to Big League Politics by a source that currently wishes to remain anonymous. Award winning journalist Seymour Hersh confirms that Seth Rich had contacted WikiLeaks with sample emails from the leak. Hersh cites an FBI document as proof for his claim. The corporate media has been toeing the Democratic Party line on this DNC hack story because it fits with the deep state plan to force regime change in Russia. They are not going to put this audio on mainstream media. We've got to share it widely. Will Griffin is now on Jeju Island, South Korea on the annual peace walk opposing the Navy base built for US warships in Gangjeong village. Jeju Walk for Peace and Life 2017! Rain, snow, or sunshine, we march for PEACE & LIFE! South Korea, Jeju Island, Gangjeong Village. Two teams walk around the entire Jeju Island - one going east and this photo is the west team. Hundreds participate each summer. This year there is a strong NO THAAD presence as well. The New York Times, that helped sell George W. Bush's needless and illegal 'shock and awe' attack on Iraq in 2003, is now working to vilify Putin and create the pretext for war with Russia. In a story headlined Russia’s Military Drills Near NATO Border Raise Fears of Aggression the NYT misleads with the title itself, even before you begin to read the article. What is a NATO border? Is NATO a country now with legally defined borders? Does NATO suppose that where ever it decides to put a base or hold military drills that it has the right to declare itself a sovereign nation? But most incredibly how can the NYT claim that Russia has 'done something wrong' when it holds military exercises inside its own country and in neighboring Belarus where they have been invited? Since when is that illegal? 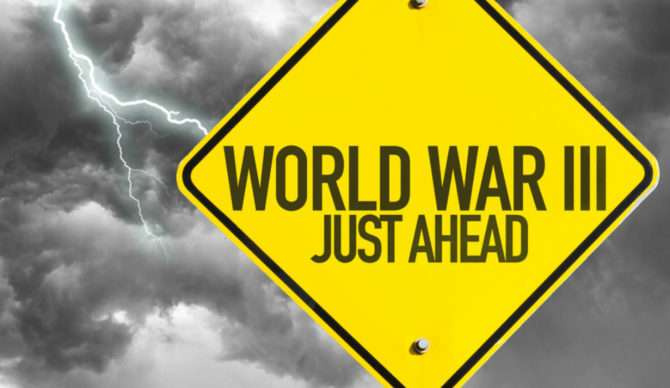 Western military officials caution that the United States and Russia are not on the brink of war. But they expressed concern that the heightened Russian military activity could lead to unintended confrontations. This is a NY Times story that no one should believe. It is a classic example of pro-war propaganda seeking to escalate tensions. The author should have been fired for his role in the false WMD build-up to the Iraq War. Michael Gordon, along with Judith Miller, were the government propagandists for that war. Gordon continues his 'start a war' reporting now focused on the new target, Russia. This is one example of many why the Times cannot be trusted when it comes to national security issues. In the end the numbers don't lie. The chart below clearly reveals who is the real threat to world peace as we look at 2016 global military spending levels and see that the US leads the pack. The Pentagon is way out front with 36% of the world total and when you add in the various NATO members and partners the figure reaches about 60%. Russia is at 4.1% and even if you add China they come far below the US-NATO numbers. What that means in the real world is that Russia has a military that is fundamentally about defending their borders. Moscow does not have the capability to launch an offensive operation to retake eastern Europe as the NYT and Washington Post frequently imply. 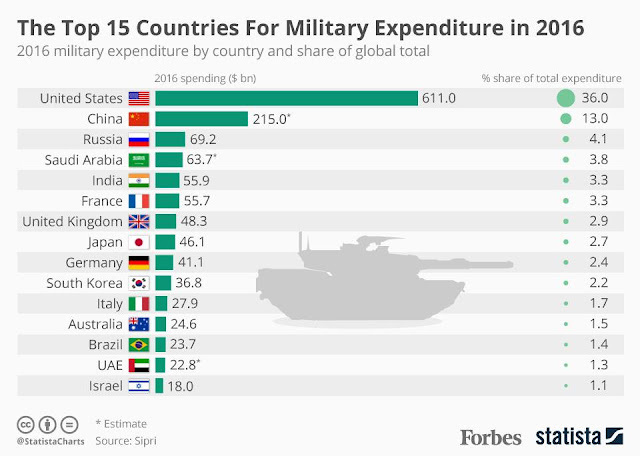 In addition it must be known that Moscow cut their military budget last year and this year - largely due to the drop in world oil prices and the impact of western economic sanctions. The bottom line is the US is trying to stir up trouble - is expanding its military operations up to the Russian borders - and like most bullies cries out in desperation when the recipient of their bullying stands up to them. The US wants regime change in Moscow and Beijing and is willing to create global chaos in order to fulfill the world dominance dreams of the neo-cons that now run the US corporate government. The NYT is nothing more than a mouth piece for that corporate agenda. People would be wise to steer clear of these corrupt media outlets whose stories are likely being written by agents from the CIA. 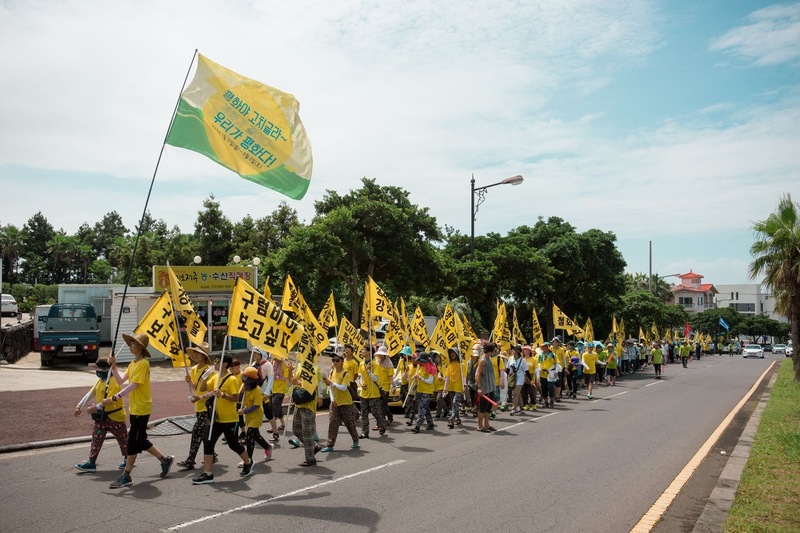 The Solidarity Peace Delegation, concluding their July 23-28 visit to South Korea, calls for immediate US-South Korean action to deescalate growing military tensions on the Korean Peninsula. The delegation was composed of Medea Benjamin of CODEPINK, Reece Chenault of US Labor Against the War, Will Griffin of Veterans for Peace, and recent Green Party presidential candidate Jill Stein. It was sponsored by The Channing and Popai Liem Education Foundation and the Task Force to Stop THAAD in Korea and Militarism in Asia (STIK). The delegation issued the following statement: The Korean Peninsula is rapidly approaching the boiling point. On the last day of our visit, July 28, North Korea conducted a missile test, and the US-South Korean governments launched another set of warning missiles. South Korean President Moon announced he would allow the United States to deploy four additional launchers to complete the controversial THAAD anti-missile system unit, reversing his previous position. In light of these escalations and the likelihood of more aggressive measures, urgent actions are needed in order to deescalate tensions. Given the proximity of North Korea to Seoul, a metropolitan area of 25 million people, any outbreak of hostilities would be devastating. In a North Korean attack with conventional weapons, it’s estimated that 64,000 South Koreans would be killed in the first day alone. Even a limited exchange using nuclear weapons risks causing “nuclear winter”, a disruption of the climate due to the reduction of sunlight from airborne dust and debris. This, in turn, could drastically reduce global agricultural production, leading to worldwide famine and hundreds of millions of deaths. Since Seoul would be caught in the crossfire of any hostilities, it is essential that the conflict be handled through diplomacy. The sooner diplomatic action is launched, the more likely it will succeed. Therefore, we call for immediate diplomatic action to reduce threats that push North Korea towards the development of nuclear weapons. Foremost among these threats are the US-South Korean joint war exercises against North Korea, which include dropping mock nuclear bombs on North Korea. In addition, the United States has long held a “ nuclear first strike” policy towards North Korea. This frightening threat of a pre-emptive US nuclear attack gives North Korea good reason to want a nuclear arsenal as the sole means for deterring such an attack. Fortunately, tensions can be defused through actions that are diplomatic, strategic, just and long overdue. • Declare an end to the unethical and hyper-aggressive, nuclear first strike position held by the US towards North Korea. • Declare an immediate moratorium on US-South Korean war games, including the dropping of mock nuclear bombs on North Korea. This would be a first step towards a formal agreement ending US-South Korean war games in exchange for North Korea freezing its weapons and nuclear program. The US government should respond to North Korea’s long-standing offer by inviting North Korea to begin serious negotiations for such an agreement now. • Withdraw THAAD, the misnamed missile “defense” system recently installed by the US in Seongju,South Korea despite vigorous and ongoing protests by local residents. THAAD is not actually capable of defending against incoming missiles under real world conditions with multiple missiles and decoys. Its powerful radar system is widely believed to have been deployed for the purpose of spying on China, provoking dangerous tensions in the region. • Begin negotiating a peace treaty to finally bring closure to the Korean War. 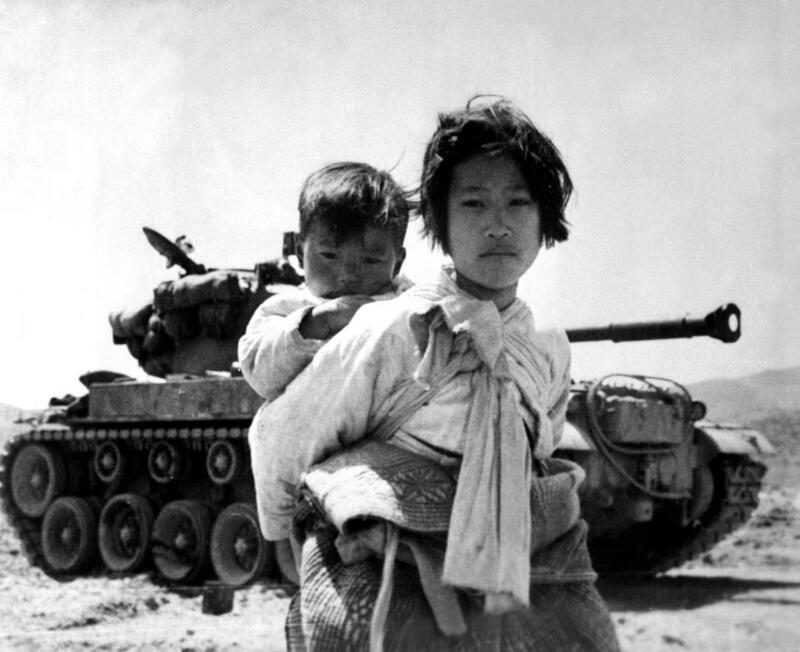 The Korean War, in which nearly 20% of North Korea’s population was killed, has never been formally ended with a peace treaty. • The South Korean government should lift travel bans on peace activists, like the ban that prevented our Korean-American trip leader Juyeon Rhee from accompanying our tour. Activists in South Korea were excited and fairly optimistic that the election of liberal President Moon Jae-in might help deescalate tensions on the peninsula. They hoped that he would block further deployments of the provocative THAAD (Terminal High Altitude Area Defense) missile defense system and even demand that the US pull back the two THAAD launch units that were rushed into Seongju (186 miles south of Seoul) during the middle of the night just prior to his recent election. 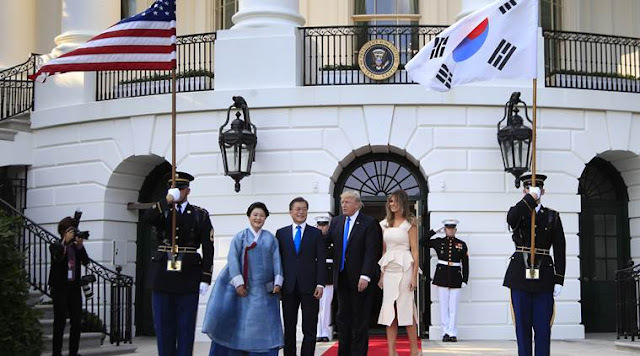 But it did not take long for the US to establish who is boss on the Korean peninsula as Moon last week ordered his aides to start discussions with their U.S. counterparts on deploying four additional mobile launchers for the THAAD, going back on his decision that the Korean government would delay additional deployment plans by 10 to 15 months. It's rather difficult to see much difference between Moon's current collusion with the US and that of the previous right-wing President Park who was impeached just months ago. The candlelight revolution in South Korea, which was the force that pushed Park out of the Blue House, has to be terribly disappointed in these recent pronouncements by Moon. One person who is not disappointed about Moon's turn toward the dark side is Japanese Prime Minsiter Shinzo Abe (the grandson of a former WW II fascist leader in the imperial Japanese war cabinet who China considered a “Class A war criminal.”) The Japanese peace movement today considers Abe a fascist. Abe has reported that in a conversation with Donald Trump the US warmonger vowed to take “all necessary measures” to protect Japan and other US allies after last week's North Korean missile test. The US and Japan are describing that missile as an intercontinental ballistic missile (ICBM) while Russia has said it was a mid-range missile that could not reach the US. The test was reason enough for the US to send two nuclear B-1 bombers over the Korean peninsula. The commander of the Pacific air forces, General Terrence O’Shaughnessy, warned his units were ready to hit North Korea with “rapid, lethal, and overwhelming force”. In other words the US is ready to initiate nuclear war. It's heart breaking to see Mr. Moon turn away so quickly from his earlier promises to reconsider THAAD and to so eagerly embrace the US incessant prodding of North Korea. The US-South Korea war games right along the border of North Korea must always make Pyongyang wonder if this is the one - is this the time the US and South Korea will launch their often threatened 'decapitation' strike? I can only hope that the activist community in South Korea and in the west will forget about giving Mr. Moon a honeymoon. It's rather clear already that he intends to follow orders from Washington and continue the role of Seoul as a junior partner to the US imperial war project in the Asia-Pacific. There are apartment buildings, sports fields, playgrounds and a water park, and an 18-hole golf course with the generals’ houses overlooking the greens. There is a “warrior zone” with Xboxes and Playstations, pool tables and dart boards, and a tavern for those old enough to drink.